Auction items included an overnight stay and golf at the Hard Rock Hotel and Casino, a Rickie Fowler autographed hat, a hot air balloon ride, a spring gardening package, autographed OKC Thunder basketballs and other autographed sports memorabilia. 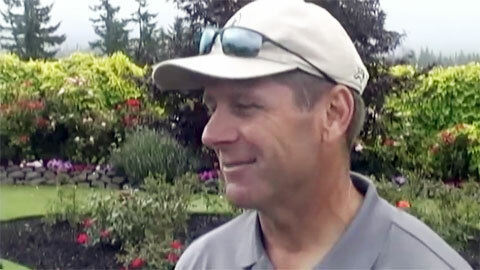 Steve Largent is one of the most beloved players in Seattle Seahawks history. As a wide receiver for the Seahawks from 1976-89, Largent upon retirement held all the major NFL receiving records, including: most receptions in a career (819), most receiving yards in a career (13,089), and most touchdown receptions (100). He was also in possession of a then-record streak of 177 consecutive regular-season games with a reception. He is a member of the Pro Football Hall of Fame as well as the Seahawks’ Ring of Honor. Largent was as a member of Congress for more than seven years, representing Oklahoma’s First Congressional District. He was the vice chairman of the Energy and Air Quality Subcommittee and also served on the Telecommunications Subcommittee, the Oversight and Investigations Subcommittee, and the Environment and Hazardous Materials Subcommittee. Playing Field Promotions is a booking agent for motivational sports speakers and celebrities. If you would like to book football speakers or NFL stars like Steve Largent for a speaking engagement, personal appearance or special event, you can request Steve Largent agent and speaker information from PFP Sports & Celebrity Talent or call 800.966.1380.